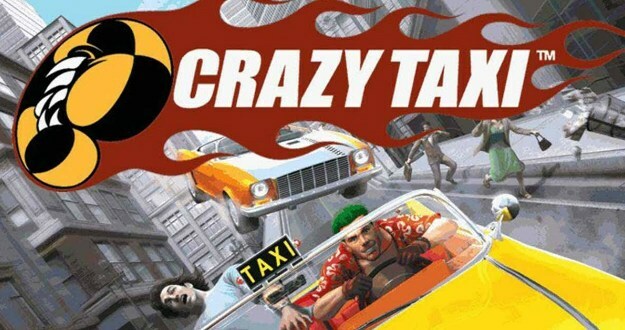 Classic Arcade Game Crazy Taxi Updated With Better UI, Download It Now! Disclaimer: Sega and Crazy Taxi are registered trademarks of Sega Games Co. Ltd. The Author assures the reader that we at DroidHolic are not engaged with the affiliate or promotional marketing for any company, brand or person, until and unless specified explicitly, otherwise. The same nostalgia for classic arcades is back! Sega has updated it’s most notable offering in the arcades with an awesome update of Crazy Taxi Classic. With faster graphic processing and better UI, this game is must play for arcades lovers. But, remember! The game is not for the light-hearted, it is a full action package. But what if you didn’t know what it is? Don’t worry! We are going to tell you everything about it. In each game, the player assumes the role of a taxi driver who must accumulate money by delivering passengers to their destinations in the fastest time possible. Players can earn tips by performing “crazy stunts” before the time runs out. The game has an innovative gameplay which is easy to learn yet pretty difficult to master. Accompanied with great soundtrack music, the game is a complete treat to arcades lovers. In 1999 when the first edition of the game was launched for consoles and PCs, it was well received by the game critics. With more than 79% rating (cumulative) from major game reviewers, the players of this classic were eagerly excited for the new update on the Mobile Platform. Well, why? Well, why should you download the game? Themed for a Joyride into 2000: The game is remastered for mobile devices based on the hugely popular Dreamcast Classic Console. Not just the game, the music by The Offspring and Bad Religion is as good as listening now, as it was back then. Fierce Environment: Like Need for Speed 2, this game features large hills for long hang time. Featuring Parked transporters with conveniently angled ramps and Occasional deep sea exploration opportunities. Mini Games: The game has 16 mini-games within. Each having several timed and bounty missions to choose from. The Best Part, Universal Build: The game has been developed so that it can be played on any device, anytime. Which means that your game data will be synced continuously. Moreover, players can listen to tracks from their own music playlist. That’s not it, the game comes with an end-to-end Controller Support for Power A Moga, Xbox, and all other HID controllers. Download it for Android and iOS and enjoy!.